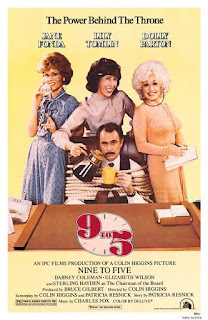 Home / -News- / Dolly Parton / Dolly Parton Thinks It's Time to Reboot "9-to-5"
Dolly Parton Thinks It's Time to Reboot "9-to-5"
Dolly Parton can't wait to bring her larger than life 9 to 5 character Doralee Rhodes back to the big screen in a new movie Rashida Jones is developing. The country singer will return along with her co-stars Lily Tomlin and Jane Fonda for the revamp of the beloved 1980 office comedy, according to Deadline, to advise a new generation of working women how to get their own back on a sexist boss. Jones is reportedly working on the script with the original film's screenwriter, Patricia Resnick, and Dolly can't wait to get back on set as Rhodes. "I've been talking to Lily and Jane... actually all these years, we've talked about doing a sequel to 9 to 5 and it never made any real sense until just recently," she tells news show Nightline. "We're trying to get the script and all that. Everybody is very interested and we've all agreed that we'd love to do it if it's right." The trio has remained friends ever since the original 9 to 5 wrapped almost 40 years ago, and Lily, Dolly and Jane recently reunited to present the award for Outstanding Supporting Actor in a Limited Series or Movie at the 2017 Emmys. The three stars have been eager to reunite on the screen for several years with Dolly revealing she has been hoping to join her pals on their hit Netflix show Grace and Frankie. "I told them whenever I get a little block of time, I'd love to come be on the show (sic)," Parton said. "We always talked about a (9 to 5) reunion." The country music legend also poked fun at rumors of a 9 to 5 reboot last year, stating, "We better get after it. We'll have to call it 95, not 9 to 5!"